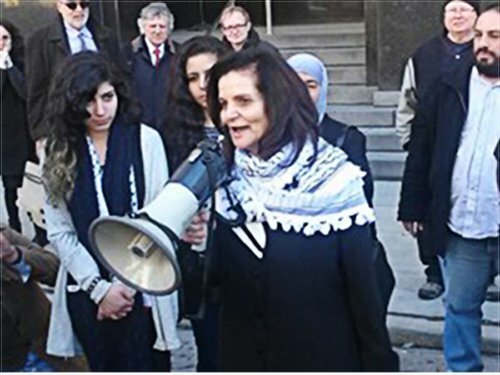 Rasmea Odeh thanks supporters at court house, March 12. Federal Judge Gershwin Drain sentenced Palestinian American activist and community leader Rasmea Odeh to 18 months in prison, revoking her citizenship and imposing $1,100 in fines at a March 12 hearing in Detroit. Odeh remains out on bond pending the outcome of an appeal of her conviction on immigration fraud charges. 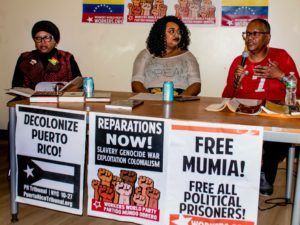 The Chicago resident was accused of not revealing on her Immigration and Naturalization Services application that she was tried by a military tribunal and sent to prison by the Israeli regime some 45 years ago. The courtroom was packed with another overflow area filled as well where her supporters anxiously awaited outside the outcome of the sentencing hearing. As part of its argument for a harsh sentence, government prosecutors presented clips of a documentary on the Palestine liberation struggle during the late 1960s and early 1970s where veteran activists talked about their efforts to free Palestine. Consequently, the hearing was highly politicized along with the trial. Government prosecutors claimed that Odeh was a member of the Popular Front for the Liberation of Palestine, one of the key organizations in the Palestine Liberation Organization. Drain said the sentencing guidelines mandated a 15 to 21 month sentence in such a conviction, rejecting the government’s request for a five to seven year prison term. He also said that Odeh violated his direction not to talk about the plight of Palestinians on the stand or that she was tortured by the Israeli military while held in detention. Odeh testified during the trial in late 2014 that she misunderstood the questions on the immigration forms. Experts also testified that she suffers from post-traumatic stress disorder resulting from her brutal treatment by the Israeli authorities. The judge acknowledged the flood of letters he received in support of Odeh from across the country representing people of all walks of life, Drain noted. Nonetheless, he said on the bench that Rasmea had been a “terrorist” but had changed her life. “She was a member of the Popular Front for the Liberation of Palestine. I think she was involved in some terrorist activity,” Drain declared before sentencing. The judge said that the case was about lying and not politics. Despite this, he allowed the prosecution to introduce a smear campaign against the PFLP into testimony. Odeh was allowed to make a statement to the court before sentencing. She chronicled her life in conjunction with the history of Palestine under Israeli occupation. She stressed that her family was expelled from their home in 1948, when the state of Israel was established. They lived in a refugee camp, forcing her father to leave to come to the United States during the early 1950s, breaking up the family. They were again displaced in 1967 with the expansion of the occupation into the West Bank and Gaza. Forced into exile by these circumstances, she eventually came to the U.S. to take care of her father, who was suffering from cancer during the 1990s. She was arrested and charged in the bombing of a supermarket in 1969. She was forced to confess as a result of torture, spending a decade in the Israeli prison system. Odeh was released in 1979 in a prisoner exchange between the PFLP and Tel Aviv. After coming to the U.S. in 1995, she became a leading figure in the Palestinian and Middle Eastern immigrant community in Chicago, assisting thousands of Arab women to adjust to life in the U.S.. Many of these women attended the trial and the March 12 sentencing hearing. At the time of her 2013 arrest by federal agents, Odeh administered the daily operations at the Arab American Action Network in Chicago. Supporters with the Rasmea Defense Committee, which hosted an Arab American Museum fundraiser on March 11 in suburban Dearborn outside Detroit, described her as a well-loved leader and mentor. Defense attorney Michael Deutsch said the conviction will be appealed. It will take at least five months for a determination to be made as to whether the appeals court accepts the filing. Prior to sentencing, Deutsch argued that oppressed peoples throughout history have resisted injustice and occupation. 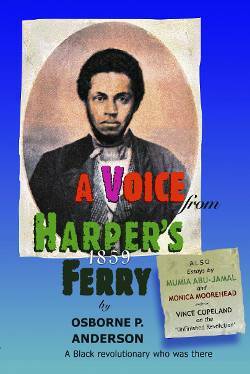 He evoked the struggles of African people under Portuguese colonialism and Southern African apartheid. Deutsch mentioned that the late Nelson Mandela, the former African National Congress leader and the first Black president of a nonracial South Africa, was once considered a “terrorist,” but was actually a freedom fighter. 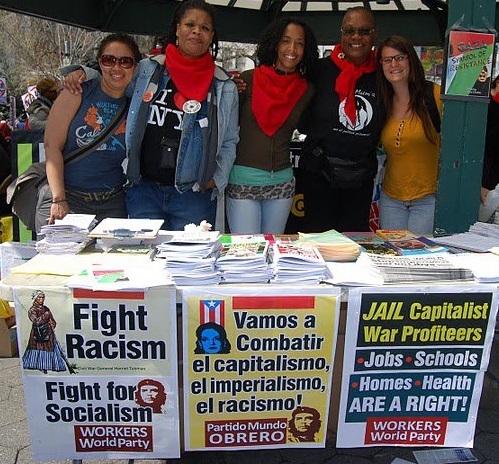 Cheryl LaBash, a Workers World contributing editor, assisted in this report. On the picket line: UIC education worker victory!